As you might be aware, the UCLH has won the bid to host of the UK’s Proton Beam Centres, which will hopefully open in 2017. There are many fund raising projects connected with this centre (the first of it’s kind in the UK) that Fight for Life hope to be involved in, during the coming years. Here is a little information on Proton Beam Therapy and how it differs from current treatment. The UCLH said the following in 2014 of our proposed future support for Proton Beam Therapy. The National Proton Service is something UCLH will look forward to delivering, We know only too well how much effort has been made by FFL in Our successful bid for this major new generation of treatment for Cancer and we look forward to continuing our long term association with this wonderful group of people. Proton therapy is a type of external beam radiotherapy that uses ionizing radiation. In proton therapy, medical personnel use a particle accelerator to target a tumor with a beam of protons. These charged particles damage the DNA of cells, ultimately killing them or stopping their reproduction. Cancerous cells are particularly vulnerable to attacks on DNA because of their high rate of division and their reduced abilities to repair DNA damage. Due to their relatively large mass, protons have little lateral side scatter in the tissue; the beam does not broaden much, stays focused on the tumor shape and delivers only low-dose side-effects to surrounding tissue. All protons of a given energy have a certain range; very few protons penetrate beyond that distance. Furthermore, the dose delivered to tissue is maximum just over the last few millimeters of the particle’s range; this maximum is called the Bragg peak. To treat tumors at greater depths, the proton accelerator must produce a beam with higher energy, typically given in eV or electron volts. 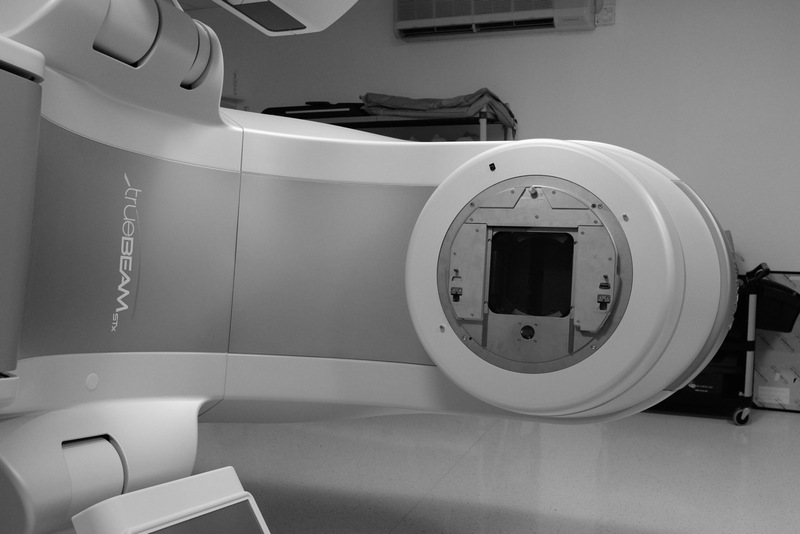 Proton therapy treats tumors closer to the surface of the body with lower energy protons. Accelerators used for proton therapy typically produce protons with energies in the range of 70 to 250 MeV (mega electron Volts: million electron Volts). Adjusting proton energy during the treatment maximizes the cell damage the proton beam causes within the tumor. Tissue closer to the surface of the body than the tumor receive reduced radiation, and therefore reduced damage. Tissues deeper in the body receive very few protons, so the dosage becomes immeasurably small. 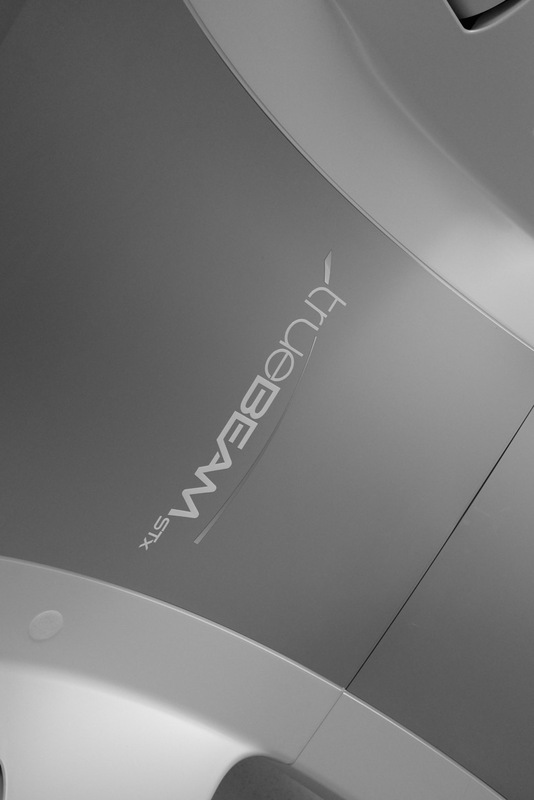 Most conventional radiotherapy treatments delivered by large machines – whether it’s the latest stereotactic or image guided technologies or older styles of therapy – all use beams of X-rays to treat tumours. X-rays are high-energy waves made of photons, which are a form of electromagnetic radiation – a type of radiation that covers everything from radio waves and microwaves, through the visible light spectrum we can see, to gamma rays created in nuclear power reactors and out in space. 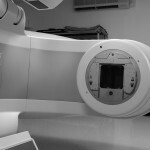 Radiotherapy works to treat cancer because X-rays damage cancer cells, meaning they can no longer multiply and will die. But the beams don’t discriminate between cancerous and normal tissue, and can cause serious side effects by destroying healthy cells in their path. 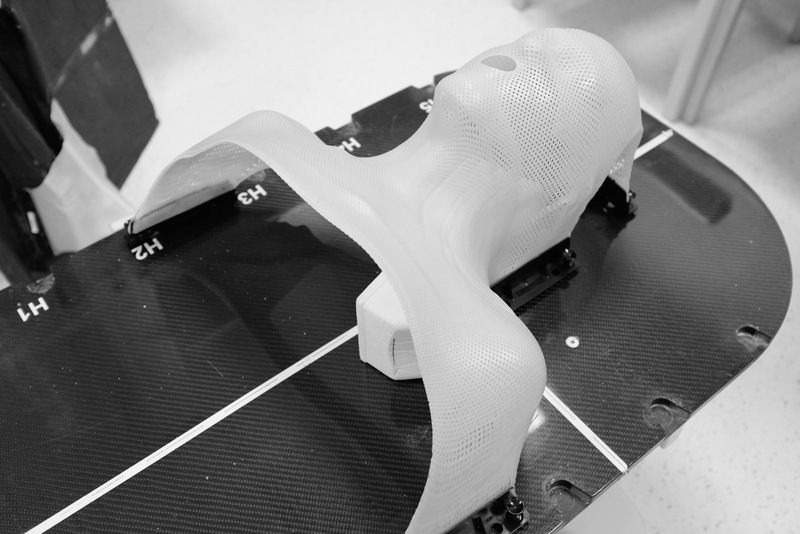 Over the past 50 years, advances in technology have meant that doctors can shape radiotherapy ever more precisely to match the shape and size of a patient’s tumour. Some of the latest machines can even track how tumours move as a person breathes, to make sure they’re hitting as little healthy tissue as possible while zapping the cancer. 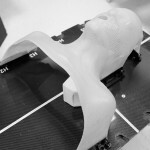 But no matter how advanced the techniques get, one problem with X-ray radiotherapy remains – once the beams have entered a person’s body, they keep going. Although the radiation beams are focused on a tumour, so the dose to the surrounding tissues is minimised, there will inevitably be some potential damage, leading to short or long-term side effects. While this is obviously not ideal for cancer patients at any age, it can be particularly harmful for children (especially those being treated for brain tumours) as their bodies are still developing and they’re more susceptible to the effects of radiation. They’re also more at risk of developing a second cancer later in life, caused by their early exposure to radiation. So there’s always the need to strike a balance between delivering a big enough dose of radiotherapy to kill all the cancer cells, while inflicting as little damage as possible on the healthy tissue around them. One way to avoid these problems is to zap tumours with a beam of protons, rather than X-rays. Protons are positively-charged tiny particles that are found in the centre (nucleus) of every atom in the universe, and they can be generated and focused into beams in a controlled way using large particle accelerators. Like regular radiotherapy treatment, proton beam therapy damages cancer cells in the same way, so that they die. But unlike X-ray beams, proton beams stop once they hit their target, rather than carrying on through the body (due to a quirk of physics known as the Bragg peak, if you’re interested). This cuts the chances of damaging the surrounding tissues, reducing side effects – something that’s especially important if you’re dealing with a small child’s developing brain and body. However, it’s important to remember that the treatment isn’t a “magic bullet”, and it won’t be suitable for everyone. And although it looks like proton beam therapy has fewer side effects than conventional radiotherapy, it still carries some risks and uncertainties. 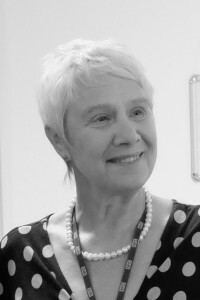 Julia is the Liaison Officer between The UCLH Trustees and Fight for Life & Retired Radiotherapy Services Manager. In her long career, Julia Solano, Radiotherapy Service manager at UCLH, says that the recent announcement that the UCLH will be the first national centre to offer Proton Beam Therapy (PBT) is one of the most exciting developments in Radiotherapy that she has ever seen. “Proton Therapy uses some of the world’s latest technology to treat highly complex cancers in adults and children with reduced side effects. For patients who survive for many years after radiotherapy that can often have life long consequences, this represents a huge step forward”. 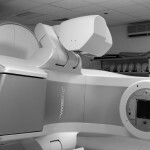 Joining forces with The Christie Hospital in Manchester, UCLH successfully won the bid to become the UK’s first national proton beam therapy centre in April 2012. Treatment at UCLH will be available from a site to be developed on the University College Hospital campus in central London from 2017. 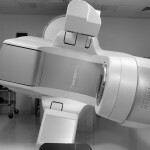 Currently only available in the USA and in some centres in Europe, Proton Beam Therapy uses high energy protons to target cancer cells with reduced side effects to surrounding areas or organs .Specific patient groups including children and adults with some head and neck or brain cancers, will benefit from this type of radiotherapy. Small numbers of patients are currently treated in the USA or Europe – UCLH typically refers small numbers of patients via a Department of Health referral programme, but a ten-week stint away from home isn’t easy for everyone, as Julia says, “Being away from home can be really tough on patients who are already going through a difficult time in their lives. 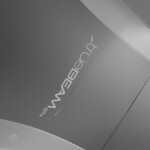 The arrival of PBT in the UK will mean they will no longer have to travel abroad and will have the latest technology, supported by the expertise at UCLH, on home soil. Some1500 patients a year will be suitable for the treatment in the UK. 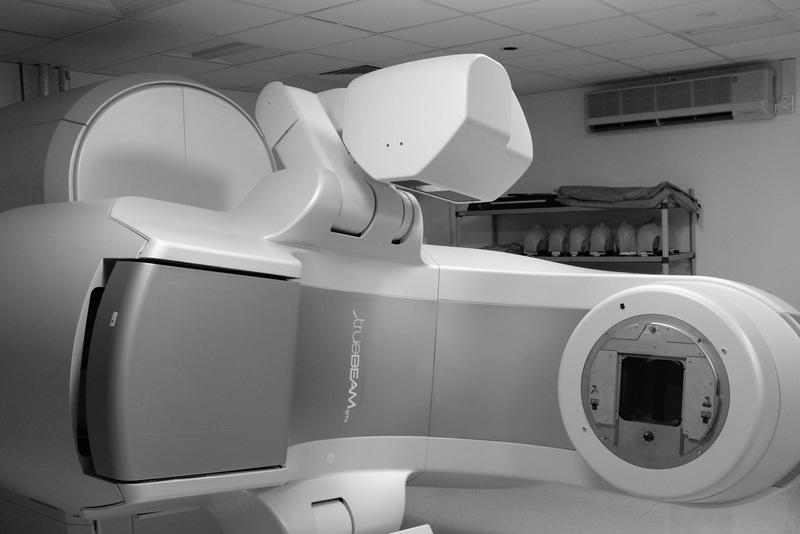 UCLH’s cancer service is no stranger to firsts – we have some of the latest equipment available to treat and diagnose cancer. 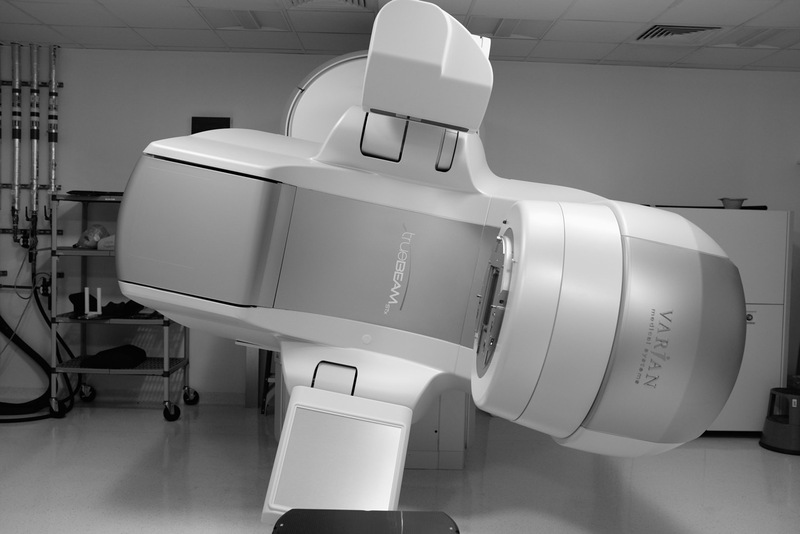 This includes the UK’s first True Beam™ linear accelerator and PET-MR scanner – plus the brand new £100 million University College Hospital Macmillan Centre. “PBT will be another piece of the jigsaw that is cancer treatment at UCLH. says Julia. “With state-of-the-art facilities, and through our academic links with UCL, we have some of the best expertise and research capacity in the world; our service can only get better”. The new Proton Beam Therapy centre, which we understand is due to open as early as 2017, will be supported by Fight for Life fund raising in the future. At this time, Fight for Life actively support and fund True Beam and Rapid Arc, along with a number of smaller projects each year.